Some of the greatest scientists, philosophers, and historians of all time have advocated the concept of causality, or cause and effect – the idea that we live in a causal universe in which every effect has a root cause or ‘causal factor’; nothing happens purely by chance. Michael Lee believes that these causal factors – the drives of change – present severe challenges for society, and that by studying the possible outcomes of these challenges we can understand, foresee and model the world of tomorrow. In Codebreaking our future Michael Lee examines the structural foundations of modern society and provides an overview of the four major challenges, or revolutions, that will dominate causal change for the remainder of the twenty-first century. He also explains his recently trademarked FutureFinder system, a computer programme which lists and ranks influences on social change, allowing societies, organisations and individuals to plot their trajectories into the future. 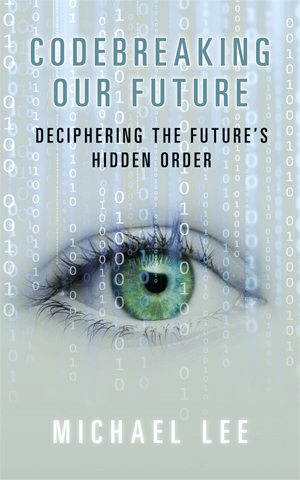 Drawing on centuries of classic academic research and with recent examples from the work of Professor Stephen Hawking, John Kenneth Gailbraith and contemporary demographer Philip Longman among others, Codebreaking our future establishes beyond all doubt the grounds for predicting the hidden structure, or order of the future based on the causal drives of all change.